Photos: These photos were taken by Chris Vaughn, a friend from Nanaimo and former publisher of the World Football Pages (a BC based Magazine that ran for several years). Chris always had a keen eye for capturing the essence of our International Football Matches and, as you can see in this series, Brazil brought out some very colourful Canadian girls to support the Canadian Team. 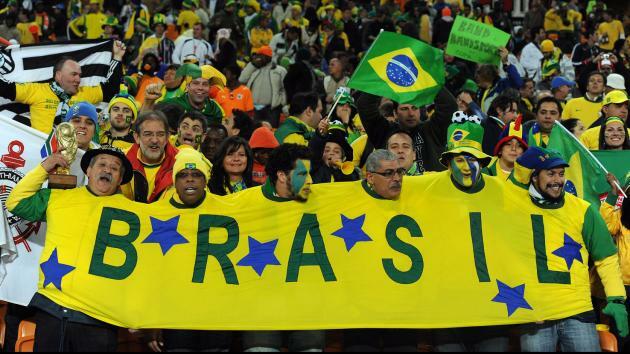 The two game series was played in 2006 when the Brazilian U20 Men’s Team challenged Canada in a warm-up to the 2007 U-20 World Cup. The teams split series at one game each. Below is a photo of the teams on the field at Royal Athletic Park. 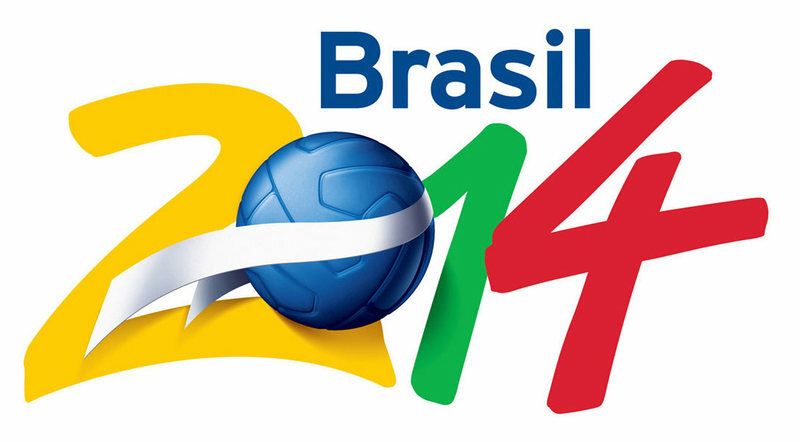 Are You Thinking of Heading to Brazil in 2014? Having previously hosted the Brazilians in Victoria, it is easy to see why people get so excited about going to South America. The stunning display of colours and costumes that always accompany the South American teams, is certainly worth a second (or third) look as evidenced by the cover photo. 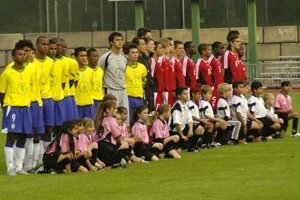 Photo (2006): Canadian and Brazilian teams line up at Royal Athletic Park for the second game in the two game series. More recently, we have been communication with a friend from Sao Paulo and it seems that the cost of attending this event could certainly stretch the credit card of even the very well healed. Perhaps you know someone who might put you up for a few days or has an inside track to less expensive accommodation and perhaps even access to tickets at one of the outside venues. That being said, Lynn has gained access to a limited number of tickets and hotel rooms in Rio de Janeiro as noted below. The prices are in Canadian, per person and based on double occupancy and are for ‘Land’ only. Please ask about flights. The following include one Match game and accommodation at the Tulip Inn Copacabana– (Executive Room), in Rio de Janeiro (breakfast and Airport transfers included). The prices do not include: International Airfare, Visa, Gratuities or optional excursions. Please email at lynnmcneill@cruiseshipcenters.com or call me at 250 656-5441 or cell at 250 893-1033, if you would like more information regarding the above.